 From start-ups to family-owned companies that have spanned generations, Macomb County is known for our businesses successes. Our companies are household names, with brands and products consumers trust. These successes don’t just happen by accident. Our region is home to a rich and diverse talent pool ready to put nose to the grindstone to get the job done. In Macomb County, we celebrate success. Read about how companies from different industries and different sizes are succeeding in Macomb County. Ready to join this list? Flex N Gate Shelby, established in 1956 and headquartered in Urbana, IL, is a supplier of bumpers, exterior trim, lighting, aluminum and steel modular stamped body in white and chassis assemblies, and other OEM automotive products. Flex N Gate has a new contract to supply bumpers for truck products which will consolidate assembly and sequencing under one roof for front and rear bumpers. The company plans to lease space in a build-to-suit facility in Shelby Township, investing $11 million and creating 242 jobs. As a result, the company has been awarded a $900,000 Michigan Business Development Program performance-based grant. Michigan was chosen over a competing site in Illinois. The city is offering support to the project in the form of property tax abatement. Individuals interested in career opportunities with Flex N gate should visit http://jobs.flex-n-gate.com/jobs. In July 2016, Cosworth announced its expansion into Michigan with a new location in Shelby Township. The company will invest $30 million and create 50 to 110 new jobs. Cosworth is a high-performance automotive engineering and manufacturing group headquartered in Northampton, U.K. The company supplies electronics and powertrain products to vehicle manufacturers, motorsports teams and performance enthusiasts around the world. It is especially well-known for creating engines for race cars competing in the Grand Prix and IndyCar races. The Macomb County Department of Planning & Economic Development worked with the Michigan Economic Development Corporation (MEDC) to facilitate the company’s site selection process. As a result, Cosworth chose a speculative building in Cherry Creek Business Park instead of a location in Indiana. The facility is being constructed and is expected to be completed in the spring of 2017. The Michigan Strategic Fund board approved a $2.1 million MEDC performance-based loan for Cosworth. The loan will convert into a grant pending jobs creation and capital investment over the next five years. Project Coordinator Camille Silda attended the board meeting in Lansing in support of the project. Our department continues to work with Cosworth, connecting them to Michigan Works! and Macomb Community College for training and talent services. Approved tax abatements will enable GM to earn a return more quickly on its upgrade of the 710-acre campus where the bulk of its engineering, advanced technology and safety research is focused. The U.S. Department of the Interior last year certified the tech center as a National Historic Landmark. • Construction of new design studios and a new parking deck for design employees. • Rebuilding and renovating some existing research and development facilities. • A new multi-story information technology building adjacent to the current Michigan IT Innovation Center and a new parking deck. • New testing areas at the Advanced Energy Center. KUKA Systems North America will invested more than $10 million in its Clinton Township operations to meet increased demand for products. The expansion will created more than 100 new jobs. KUKA Systems is a global supplier of assembly and welding systems, as well as other related machinery, for the automotive, aerospace, alternative energy and manufacturing industries. Its parent company, KUKA Group was founded in Germany in 1898. Today the company has more than 3,500 employees in 15 countries worldwide. Staff from the Macomb County Department of Planning & Economic Development worked with company officials to help them achieve their goals for growth. Together, they identified possible assistance and incentive programs. As a result, the Michigan Business Development Program awarded a $900,000 performance-based grant to the company. The Charter Township of Clinton offered a property tax abatement. The Macomb-St. Clair ton Township Workforce Development Board will help to find and screen candidates for the new jobs to be created. Yanfeng, which established its first location in Harrison Township in 2010, decided to expand and promised to invest $56.6 million to renovate a previously vacant building on Executive Drive. The expansion is expected to create 519 jobs over the next years. Yanfeng currently employs about 130 workers, county planning officials said. Yanfeng USA has been operational in the U.S. market since 2010, with two facilities in the state of Michigan, Harrison Township and Warren. These facilities currently support Chrysler and GM programs.YF USA’s parent company, Yanfeng Visteon, employs more than 30,000 associates and operates more than 100 facilities around the world, including in China, USA, Germany and India. Yanfeng Visteon is a leading automotive component supplier, founded in 1994 as a joint-venture between Ford and Shanghai Automotive Industrial Company. The company’s US sales are approximately $7.2 billion USD in 2012. Its product solution categories range across interiors, seating, electronics, exteriors, and safety systems.